Posted on May 11, 2014 | Comments Off on Where is the Green Sheep? The quest for a missing green sheep leads to lots of opposites, colors, and rhymes. 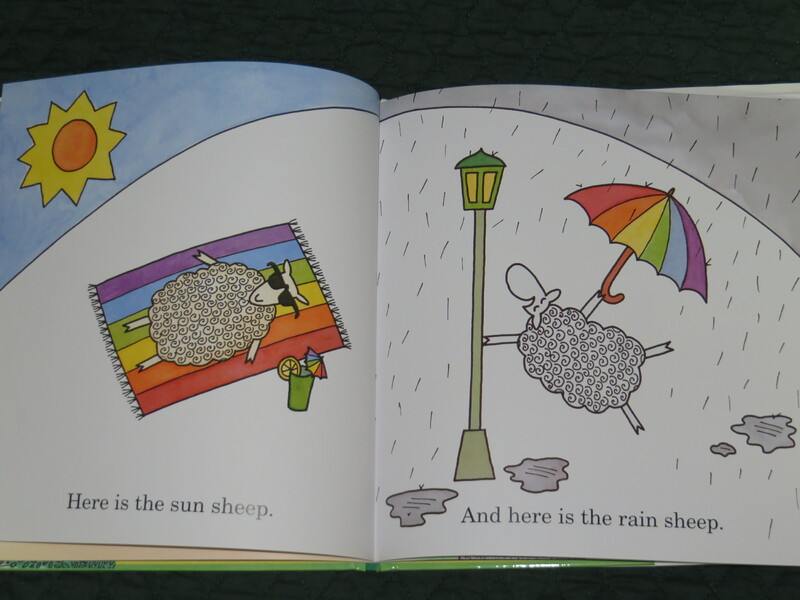 The illustrations are cheerful and playful (did you notice the Singin’ in the Rain visual reference above?). And finding out what the green sheep is up to just might inspire a toddler to nap. This entry was posted in Picture Books and tagged Animals, bedtime, bilingual, Judy Horacek, knitting, Mem Fox, Singin' in the Rain, Where is the Green Sheep?. Bookmark the permalink.